DO NOT CALL THEM TIRES. CALL THEM MOMO. MOMO's history began way back in 1964, thanks to the strong passion for motorsport and the intuition of Gianpiero Moretti, a gentleman driver who became its founder. Since its origins, MOMO has collected several victories in the most prestigious racetracks around the world that represent a unique testing ground to further develop technology, quality & safety of the products designed for everyday and road use. MOMO`s philosophy has always been focused on delivering a superior product by combining safety and performance with optimum handicraft level and innovative designs. Furthermore, the Italian brand notoriety is also present due to a pioneering marketing and communication strategy prevailing in the company throughout its evolution. 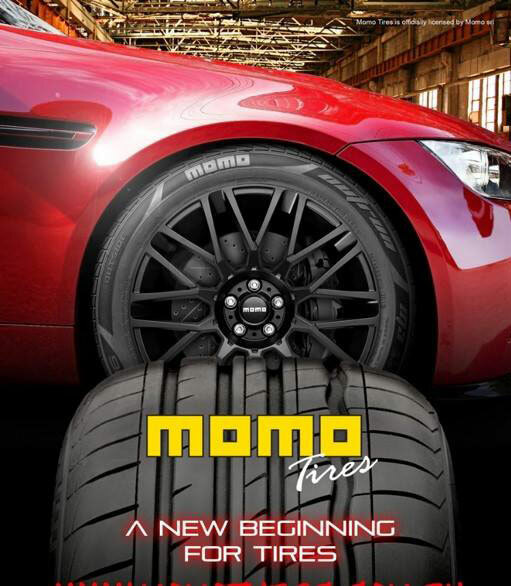 Today, capitalizing on its fifty years of history full of epic battles on the track, memorable victories and products that made an impact in the automobile marketplace, MOMO offers an innovate variety of high performance Tires, designed and produced with the upmost advanced technologies. The compound and structure of every MOMO TIRE model has been engineered to optimize the three most crucial factors for every use. 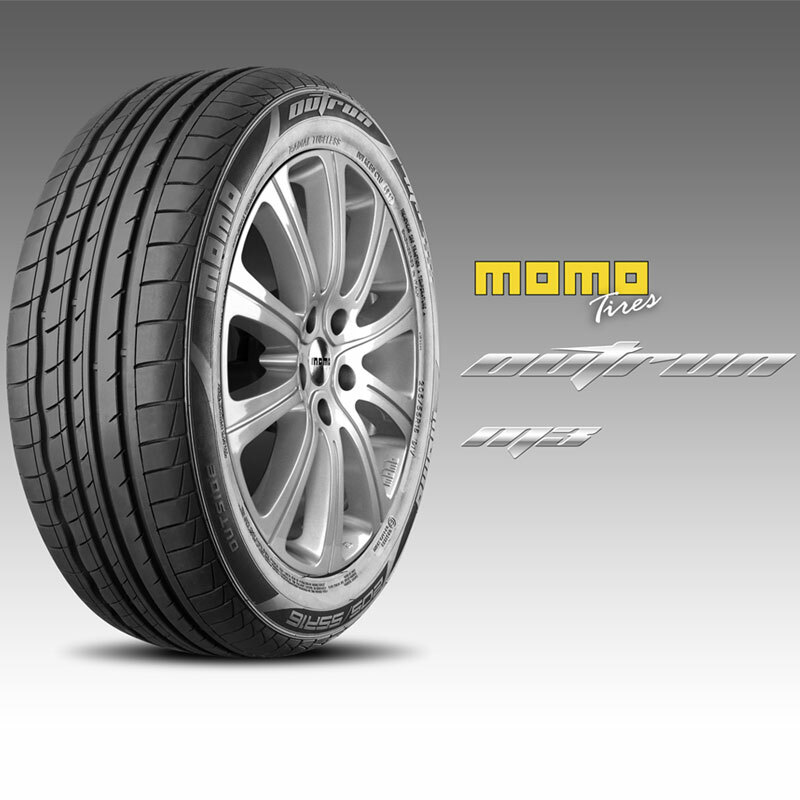 Every MOMO Tires is designed to guarantee the best grip in all conditions, while providing a low rolling resistance and a low noise level. This mix has positive effects on driving comfort, vehicle handling and braking distance, for a superior driving experience. The uses of silica in MOMO Tires compounds improve the rolling resistance, being a stiffer material than carbon black thus reducing fuel consumptions. The tires using the silica are considered green: they allow fuel savings thanks to a low rolling resistance. 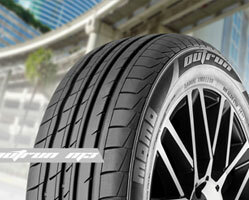 TOPRUN M30 is the RUN FALT of MOMO TIRES. The four wide longitudinal grooves improve safety and car control, reducing the risk of aquaplaning in wet conditions. Maximum performance in sport driving, excellent braking response and great traction at high speeds; this is TOPRUN M30. This pattern comes in Run flat and standard to satisfy all kinds of car segment. It has stiff sidewall to perform on wet roads and not renouncing on the speed. Advanced asymmetric pattern design helps prevent road noise and increase cornering grip and maximize handling performance. Asymmetric pattern to optimize the road noises and a great handling on dry roads. Pattern profile is optimized to improve tire stability. Segmented phase of tire modules which allow an improved noise issuance. The new all seasons pattern is a tire dedicated to all weather conditions and all road conditions. A V shaped pattern which allows the best performance on snow and on wet roads, but also a great grip on dry roads conditions. This is a tire developed for passenger car tire as well as for SUV, great performance for winter as well as for summer road conditions: 4 seasons, 12 months just one tire set. V shaped pattern to offer performance and handling at the highest standard on a wet road condition. 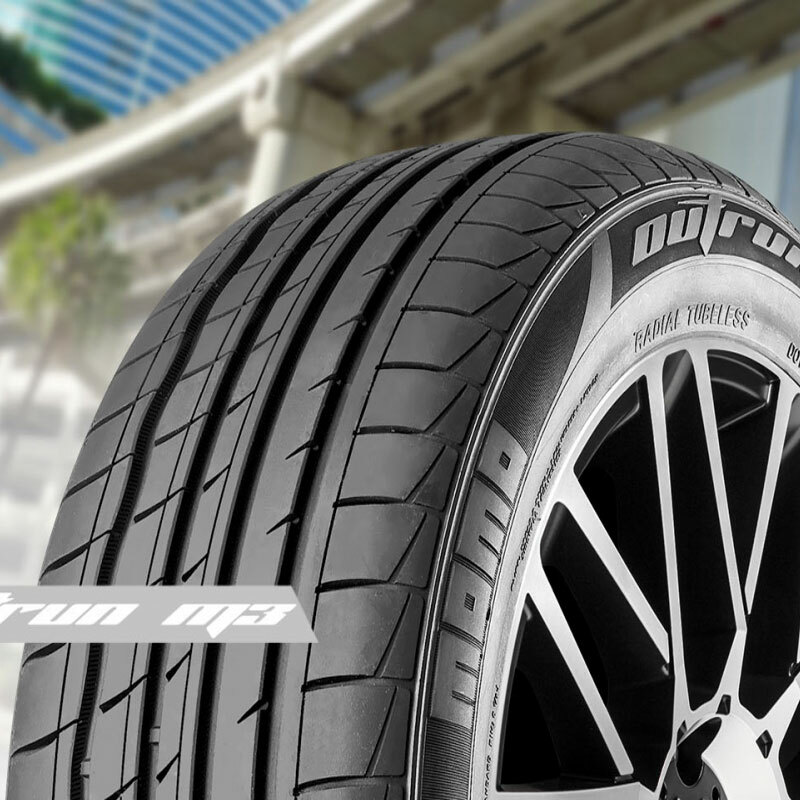 The M9 is a tire for high performance SUV`s with excellent response on wet and dry asphalt. Driving precision and comfort are its fundamental thanks to the high cornering grip and low tread pattern noise. Great grip on wet roads even for the biggest and stronger SUV. Optimized pattern and innovative material have been used to improve the stability of the tire. Optimized sequence of blocks to improve the noise issuance of the tire. Specially developed for light trucks, the M7 is a tire designed to withstand heavy loads delivering comfort and fuel economy thanks to its low rolling pattern resistance on the road. The special compound used to produce the M7 guarantees extended durability and further travel capacity. Studied to have the best possible rolling resistance and decrease the fuel consumption. Tire developed for people who drive a van or light truck and therefore drive very long mileage. Asymmetric tire design engineered for high performance with excellent driving comfort. Reinforced structure on the outside tread pattern to optimize performances and increase grip in extreme driving conditions. Comfort and performance have been the key point when developer worked on this tire. Incredible handling even in the most extreme situation is offered through the asymmetric pattern. Broader shoulder block to improve stability. A tire designed for comfort and medium cars delivering high driving comfort and safety; not to mention the low fuel consumption and its environmental impact. The four internal channels and external escape routes provide optimal performance on dry as well as wet surfaces. Improved rolling resistance while driving in the city. 4 channel on the tread pattern to improve performance on dry as well as on wet roads. Great performance on wet roads, the good rolling resistance offer low fuel consumption as well. Asymmetric design developed for small and midsize cars. Comfort is optimized thanks to the structure and design of the tire which improves rolling on the road surface; maintain high safety and performance levels, even in wet conditions. Good breaking performance and low noise. Perfect to drive in the city. Offer a great handling on city cars in every situation. It offers a safe and pleasant drive experience. 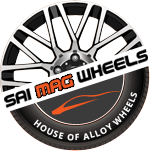 ITALIANO TIRES LLP a sister concern of SAI MAG WHEELS is the official distributor of MOMO TIRES in India. 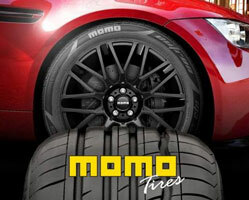 MOMO TIRES can be purchase online through http://www.alloywheelsindia.com or through a carefully selected authorized dealer network. Only products purchased from a MOMO authorized dealer qualify for the manufacturer`s warranty & are backed by outstanding customer service through our authorized dealer network. 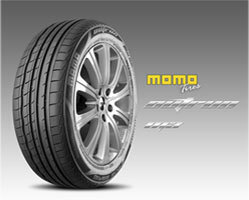 MOMO TIRES come with an unconditional 2 years warranty from the date of purchase.